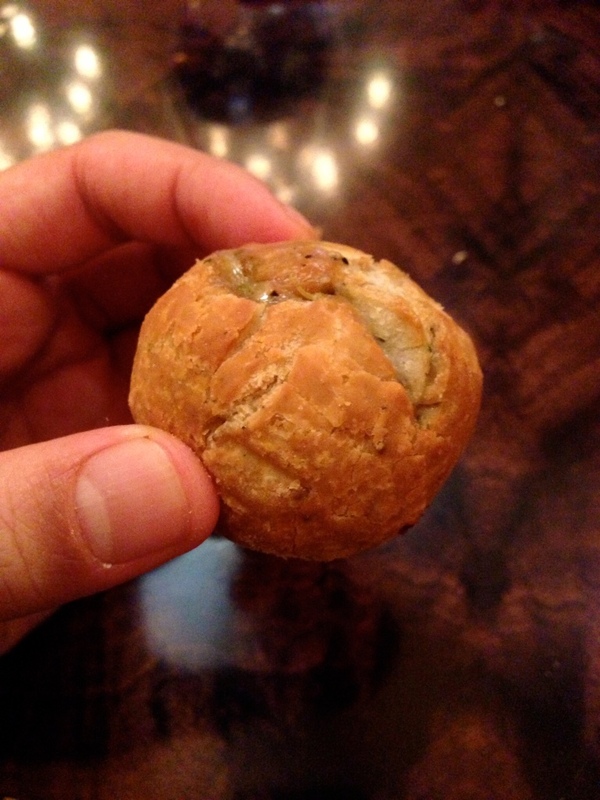 What secrets does this biscuit ball hide? Hint: deliciousness! Click through to reveal what’s inside. Cathay Circle Theater Restaurant is my top pick for a relaxing meal while on park grounds. The venue is convenient (right on Buena Vista), beautiful, and quiet — a nice break from a hectic day of walking and rides. Plus, they serve top notch food. 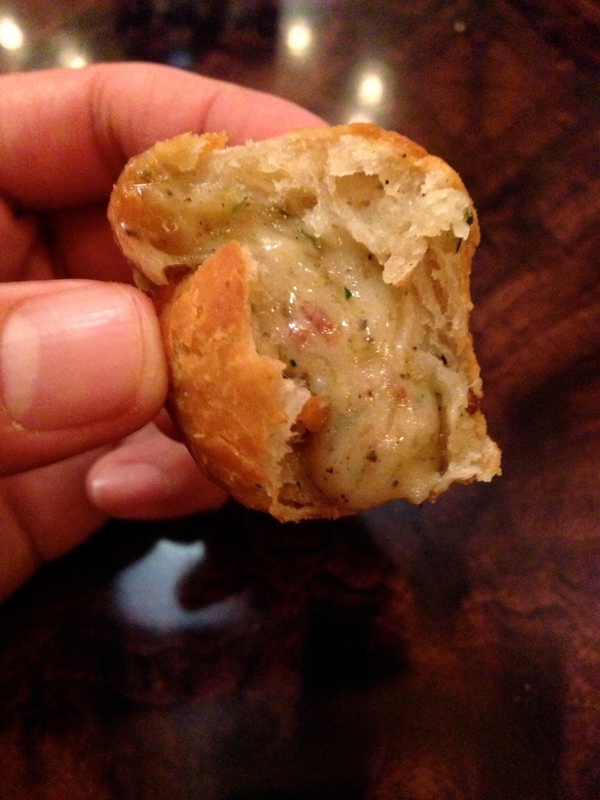 Here’s a look at my favorite appetizer of ALL TIME: the fried biscuits, formerly known as the house biscuits. 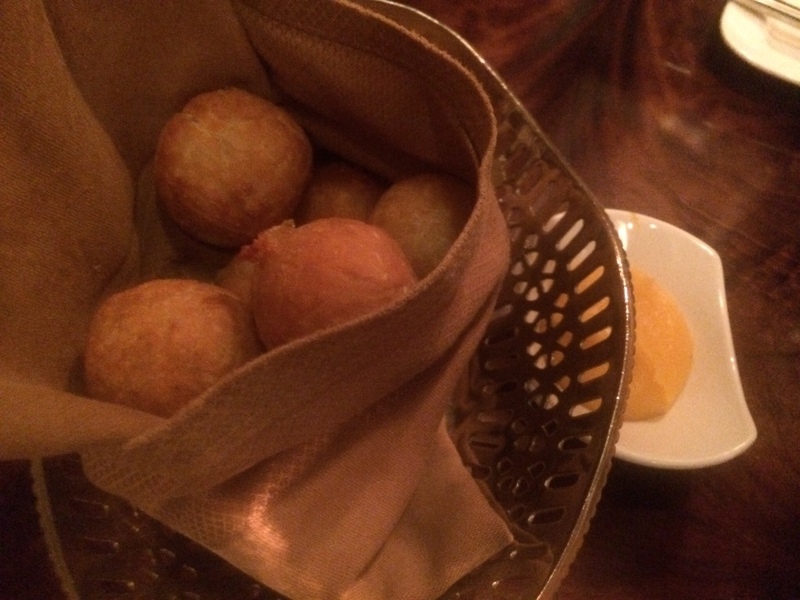 A single order of 8 pieces comes in a basket with a side of apricot butter. 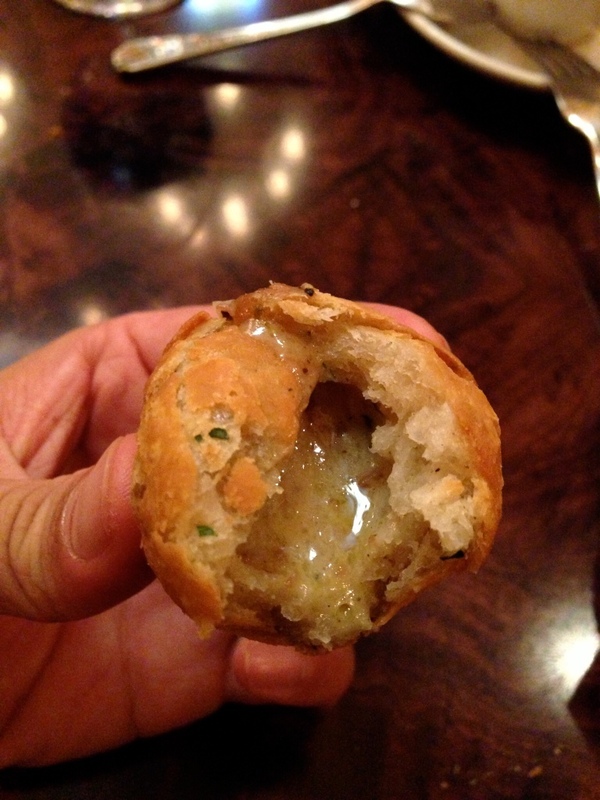 They look like normal, boring bread balls you say? Wait until you bite into one of these bad boys. Careful, they arrive extremely hot. On my first bite, I was absolutely floored. It’s SO GOOD. The cheese filling with bacon bits just melts in your mouth with just the right amount of flaky biscuit to bring it together. Spread on some of the apricot butter and it balances the savory filling with a hint of sweet citrus and adds another layer of richness to this decadent bite. Once you start, it’s hard to stop! I could eat an entire basket by myself. Maybe I will order this as my meal next time lol. Definitely give these a try on your next visit. Remember to make reservations at Carthay online in advance to avoid the wait. Happy eating!